Trupti Rao, Psy.D. is a NYS licensed psychologist and Director of Psychology Training at the Westchester Institute for Human Development. Her responsibilities include coordinating and supervising post-doctoral training activities, evaluating young children with developmental delays, and providing clinical services to families involved in the child welfare system. She is also the coordinator for an intensive in-home parenting program serving parents with intellectual disabilities. The program uses a curriculum co-developed by Dr. Rao to specifically address the specialized needs of this population. Dr. Rao has presented information about the program and findings about the efficacy of the model at both local presentations and national conferences, as well as in a special issue of the Journal of Public Child Welfare. 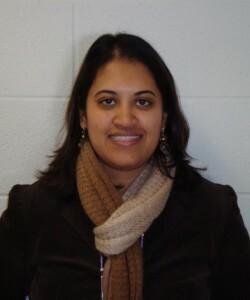 Dr. Rao’s dissertation focused on exploring the impact of acculturation on Indian-American women. Throughout her training years, Dr. Rao completed assessment and therapeutic intervention in outpatient, inpatient, and special education settings. While completing her graduate training, Dr. Rao became involved with a nonprofit organization servicing the needs of South Asian survivors of domestic violence and has served on the board as Vice-President of the organization. Additionally, she is also an Adjunct Faculty Professor in the Psychology Department at Iona College. Dr. Rao’s research interests are in the intersection of developmental disability and child welfare, as well as the needs of parents with intellectual disabilities. She also has an interest in the effects of trauma on early childhood development. Rao, T. & Reiman, B. (2018, June). Trauma and loss for children in foster care. Training presented to staff at Camp Morty, North Salem, NY. Rao, T., Reiman, B., Huber, C., Hughes, C.A., Valcourt, P., & Vivien, M. (2017, November). Children with disabilities rate of disclosure and subsequent outcomes: An exploratory study. Poster presented at AUCD National Conference, Washington, D.C.
Rao, T. (2017, July). The effects of loss, grief, and trauma. 2 part training presented to staff at the Family Reunification Program of Lincoln Hall, Lincolndale, NY. Rao, T. & Maltby, J. (2016, December). Foster care youth with developmental disabilities. Training give for the Peer 2 Peer Navigator Training, Yonkers, NY. Rao, T., Reiman, B., Reynolds, C., Short, A., Tiwari, S., Traylor, D., & To, S. (2016, December). Child Welfare caseworkers’ understanding of children with developmental disabilities. Poster presented at the AUCD National Conference, Washington, D.C.
Rao, T. (2014, December). IQ 101: Intelligence Testing and Parents with Intellectual Disabilities. Training given for the Westchester County Department of Social Services, White Plains, NY. Rao, T. (2014, December). Impact of Domestic Violence within Early Childhood Settings. Presentation given at the Child Care Council of Westchester, Inc, Scarsdale, NY. Rao, T., Cooney, C., Kenny, A. Stupak, N., & Thai, M. (2014, November). Assistive Technology Applications to Support Parents with Intellectual Disabilities. Poster presented at the AUCD National Conference, Washington, D.C.
Rao, T. (2014, September). Supporting Families with Developmental Disabilities: Practical Tools for Services Providers. Presentation given at an Office of Children and Families Regional Training, Valhalla, NY. Rao, T. & Stok, S. (2014, February). Succeeding Socially: Speaking up for Ourselves in Social Relationships. Presentation facilitated at the WIHD Self Advocacy Group, Valhalla, NY. Rao, T. (2013, October). Talk Show Guest. “WVOX, Your Community Today with Ralph Gregory.” Provided information and addressed questions by radio talk show host regarding the needs of parents with intellectual disabilities. Rao, T. (2013, October). Providing Intensive, In-Home Supports to Parents with Intellectual Disabilities. Presentation given at The Association for Successful Parenting Innovative Partnership and Practice International Conference, Mystic, CT.
Rao, T. (2013, March). Practical Tips in Using Psychological Evaluations. Presentation sponsored by the Westchester County Coordinated Children’s Services Committee, Yonkers, NY. Rao, T. (2012, December). Best Practices in Clinical Evaluations for the Family Court. Presentation given at request of 2nd Judicial Department and Family Court Committee on Mental Health Evaluations, White Plains, NY. Rao T., Duarte, S., Schulman, J., & Vasilevsky, M. (2012, May). Exploring Parental Learning Strategies and Intellectual Disabilities in Evidence-Based Home Visitation Models. Poster presented at the LEND Annual Poster Presentation, Valhalla, NY. Rao, T. & Grossman, P. (2011, May). Understanding the Needs of Individuals with Developmental Disabilities & Mental Health Treatment of Individuals with Developmental Disabilities. Presentation sponsored by the Westchester County Department of Community Health, Tarrytown, NY. Rao, T. (2011, May). Responding to the Challenges of Working with Children with Complex Needs: The Stress of Caring. Presentation given to the Alcott Early Intervention Center-Based Program, Scarsdale, NY. Rao, T. (2013). Implementation of an Intensive, Home-Based Program for Parents with Intellectual Disabilities. Journal of Public Child Welfare, 7:5, 691-706, DOI: 10.1080/15548732.2013.857628. Bonuck K, Rao T, Xu L. Pediatric Sleep Disorders and Special Educational Need at 8 Years: A Population-Based Cohort Study. Pediatrics published online. September 3, 2012: DOI: 10.1542/peds.2012-0392.